A lot has been written about the economic wonder that China is said to be. Said to be, indeed. Because continuous high GDP growth rates come at a price, in the modern-day command economy called China. In order to boost economic growth, the central government has commanded local governments to build. And build. And build. In the absence of sufficient demand or purchasing power this is leading to massive vacancy. A property bubble in the making, with unanticipated proportions and effects. This short documentary shot by Dateline (Australian TV) presents a clear, yet disturbing picture of what’s going on in today’s Chinese property market. Ghost towns, vacant mega-malls and an estimated 64 milion (!) apartments waiting for occupants. 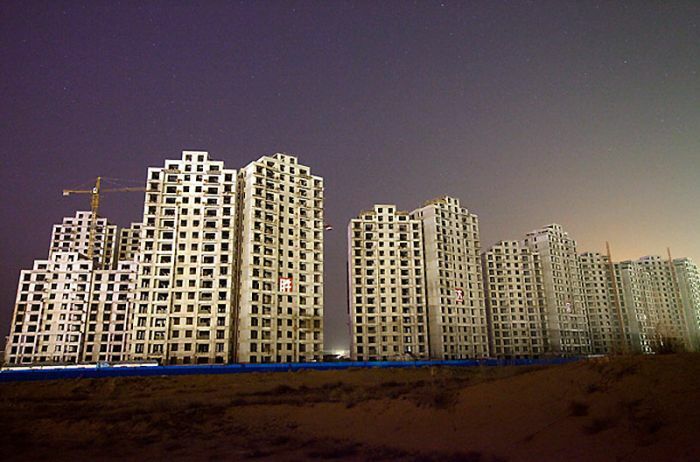 Vast new cities of apartments and shops are being built across China at a rate of ten a year, but they remain almost completely uninhabited ghost towns. It’s all part of the government’s efforts to keep the economy booming, and there are many people who would love to move in, but it’s simply too expensive for most. Video journalist Adrian Brown wanders through malls of vacant shops, and roads lined with empty apartment buildings… 64 million apartments are said to be empty across the country and one of the few shop owners says he once didn’t sell anything for four or five days. If you want to learn more on the South China Mall, the largest mall in the world, suffering some 99% vacancy, take a look at this documentary (POV Utopia). It is a bit … awkward. Hey there, I truly wish the 2012 housing and real estate market is much better as well as that we are able to watch development along with mortgage methods as well as also witness more desirable modifications on the government side of things, I assume this are going to bewould be a great perk to all house consumers, property sellers as well as real estate professionals.